Biography: Dr. Hannu Jaakkola is a Professor of Software Engineering at the Tampere University of Technology, Pori. He is the Director of Pori Doctor School and the Head of the Centre of Software Expertise (CoSE). He holds a PhD (Engineering) from the Tampere University of Technology (1991), Bachelor of Business Administration (1982) and MSc (1974) from the University of Tampere. He is also an Adjunct Professor in Information Technology, University of Lapland. He is the Director of the eMBA programme organized by Tampere University of Technology in Pori. He is an author of close to 200 scientific publications. His areas of research interest are related in software engineering and knowledge engineering. He has wide international collaboration network, which participates in his research projects. Professor Jaakkola has established the series of conferences “European Japanese Conference on Information Modelling and Knowledge Bases” which has been held annually since 1982; he is currently the Chairman of the Steering Committee and the General Organizing Chair of the conference. He has been active reviewer and member of committees also in several other international conferences e.g. PICMET, Mipro, ADBIS, ICSE, CompSysTech and reviewer of Journal articles for several scientific journals. His researcher team’s project base covers the topics like knowledge engineering, software process improvement, software architectures, collaborative ubiquitous software systems, open data and Green ICT. His own research work has currently focused in software engineering, especially taking into account the problems related to multicultural globally operated organizations, including the beneficial use of social networking. Biography: Virginio Cantoni is a Full Professor in Computer Engineering at the University of Pavia (Italy) and former Dean of the Faculty of Engineering. He is the founder and first Director of the University of Pavia's European School of Advanced Studies in Media Science and Technology and former Director of the Interdepartmental Centre for Cognitive Science. 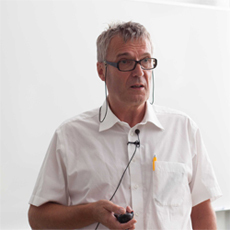 His research activity is concerned with pattern recognition and parallel architectures for image processing and computer vision. 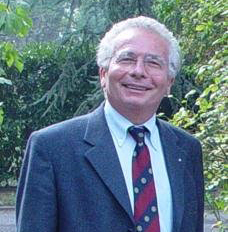 He is author or co-author of about 270 journal, conference papers and book chapters as well as editor or co-editor of 30 books and co-author of three books: Pyramidal Architectures for Computer Vision, 3C Vision: Cues, Contexts and Channels, and Alessandro Volta. The 1878 Celebrations at the University of Pavia. 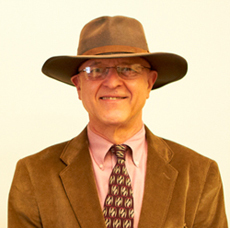 He has organized many International Conferences, Seminars and Workshops including a NATO Advanced Research Workshop on pyramidal systems for computer vision. An Expert and Project Reviewer for the EU Commission, he became a Fellow of the IAPR (International Association for Pattern Recognition) in 1994 and Fellow of the IEEE (Institute of Electrical and Electronic Engineers) in 1997. Biography: Dr. Radenski's research interests are in the areas of scientific computing, big data, parallel and distributed computing, cloud computing, programming languages, object-oriented computing, and e-learning. His research in has been supported by long-term grants from the National Science Foundation and the National Aeronautics and Space Administration, and by grants from other agencies. He has authored 85 publications, including 50 journal articles and refereed papers in edited volumes, 28 invited papers, technical reports, and abstracts in proceedings, and 6 books. Abstract: The modern information society is under accelerating changes. We are going towards dominance of mobile information systems having context sensitivity built-in. Applications have ability to collaborate with other applications, with cloud services and different autonomous internet connected devices in the digitalizing infrastructure. Access to and ability to handle large data resources in an intelligent way has become the key factor of new applications and services. Intelligent data handling technologies – originally developed for Business Intelligence (BI) applications – are used to handle data available from wide variety sources in the form of Big Data Analytics. Open Data – data that is freely available to everyone to use and republish without restrictions from copyright, patents or other mechanisms of control - provides a kernel for Big Data Analytics. In addition to these “official “ open data resources there are masses of information sources connected to Internet without remarkable access restrictions. These “Openly Available Data” sources – public web pages, street cameras, social networks etc. provide a continuously growing open source for data analytics. The presentation concentrates in detectable (important) changes in modern information society and in the role of open resources (data) as an enabler of changes. The first part of the presentation discusses the detectable phenomena and the key concepts in general level. The latter part analyzes open data as a business opportunity: the data sources, access technologies and business models related to over 200 open data based applications are on the background of the analysis. This part of the presentation is based on the results of a research project conducted by the Tampere University of Technology Pori Department in Finland. Abstract: An eye tracker is a device for measuring either eye positions and eye movement or the point of gaze (where one is looking). In HCI the gaze-contingency paradigm is a general framework for techniques allowing a computer screen display to change in function, depending on where the viewer is looking: the eye-tracker is used as an input device, and the computer interfaced responds to the observer’s fixations and interacts with him. The gaze-contingent technique is then the basis for a variety of different applications, such as: web usability; market analysis; education and e-learning; game design; package design; automotive engineering. In details two eye tracking applications will be here discussed: i) in communication systems for the benefit of users with disabilities; ii) in eye-based biometrics by using eye movement patterns as personal distinctive features. In the first case, see for example the European association COGAIN (COmmunication by GAze Interaction), the target is to allow the user to speak, send e-mail, browse the Internet, up-to the EyeArt program, and other such activities, using only their eyes. In the second case, the way an observer looks at an image is exploited to define distinctive features to reliably identify individuals. Abstract: We discuss the emergence of data-intensive computing and then explore the applicability of business-oriented big-data platforms, such as Hadoop MapReduce, to traditional scientific computing processes. In particular, we investigate the suitability of MapReduce parallelism for simulation of grid-based models by developing message-passing MapReduce algorithms and empirically evaluating their performance on the Amazon’s Elastic MapReduce cloud. We outline MapReduce challenges (such as insufficient speed) and opportunities (such as fault-tolerance and ease of use) in scientific computing.